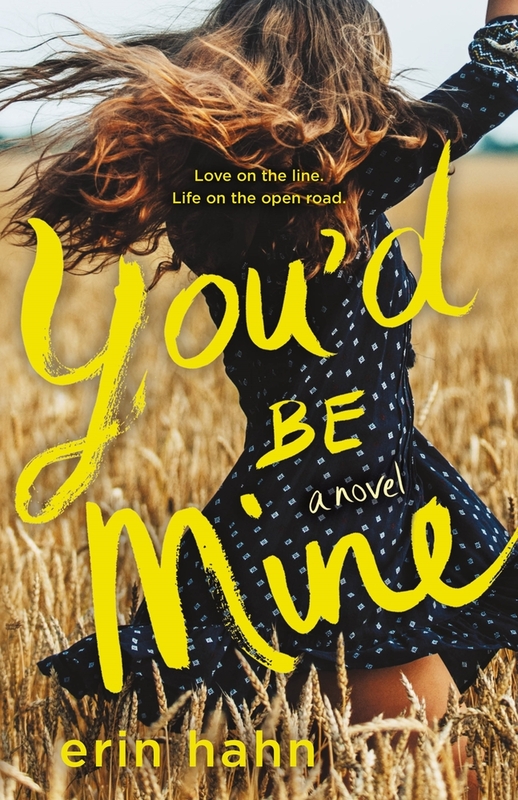 I have been excited to read You’d Be Mine since the moment I first heard about the book. I’m a fan of a lot of country music and a sucker for celebrity romance type books, so you better believe I freaked out when I got the chance to read this debut early. Clay Coolidge, one of country music’s biggest upcoming stars, is a train wreck in the making. Due to his latest mishap, his label is about ready to drop him and cancel his tour…unless he can get country music legacy Annie Mathers to sign on as his opening act. Annie knows what the spotlight can do to a person firsthand, especially after her famous parents’ tragic deaths. After hiding out in Michigan on her grandparents’ farm for the past few years, she knows it’s time to step on stage, even if she’s weary about what might happen. First off, You’d Be Mine is a LOT darker than I was expecting. I guess I didn’t really read the synopsis closely because oh boy there’s some much tragedy and sadness in Clay and Annie’s lives. Even though the story was different than what I expected, I still enjoyed it immensely. It rings true to country music and is definitely similar to Johnny Cash and June Carter Cash’s story—I watched the Walk the Line movie a couple months after reading the book and I got all the You’d Be Mine vibes from it! While there is a lot of references to country music, non-fans of the genre will still love Clay and Annie’s story. You’d Be Mine is told through dual POV and I really enjoyed switching between Annie and Clay’s voices. Erin Hahn did a fantastic job of capturing each of their charm and really brought the characters to life. Their struggles and sorrow were so poignant and it would be easy to mistake these characters for real people. I also loved the additions of Kacey and Jason (the other two members of Annie’s band) as well as Fitz (Clay’s fiddle player) as they brought some light-heartiness to an intense story. I loved the setting too as they traveled from city to city throughout the summer on their tour. Some lyrics from some of Annie and Clay’s songs were included during some of the performance scenes, which was a great addition. I also really liked when the novel slowed down while visiting Annie and Clay’s hometowns. While Annie and Clay grow pretty drastically as individuals and with each other, I would have loved to see a little more romance between the two. They go through some pretty dark stuff, but their relationship sometimes seemed as it was just this inevitable thing instead of something they really worked towards or wanted. Overall, you do not want to miss out on You’d Be Mine! Full of music, angst, and heartache, this debut is perfect for YA contemporary fans looking for an older and darker romance. I’m glad you’re better prepared now. I actually read this book back in October (before I really saw any other reviews out) and was definitely expecting something light/fluffy/rom-com-y based on the cover and the little I had heard about the book so it really was a huge surprise. This was less fluff, than I anticipated, but I still loved it. I thought Hahn did a great job balancing out the dark and light parts, and that ending!!! I loved it. Yes, I agree that it was a lot less fluff than I was expecting too. She really did a good job balancing everything—I heard that she added to the ending so I’m excited to check out the finished copy! I’m so happy you enjoyed this one! I quite literally changed it from “want to read” to “currently reading” this morning! I was going to start it today when I put the girls down for their naps! I tend to avoid country music in general, but I feel like a book about characters who sing county music will be different, haha.